Wigan Athletic have announced the signing of Nathan Byrne from Wolves for an undisclosed fee, rumoured to be in the region of £400,000. The 24 year old usually plays as either a wing back or a winger. Nathan Byrne was born in St Albans and played for his home town club until joining Tottenham, signing professional forms for them as an 18 year old in June 2010. Byrne never went on to play for Spurs, but was sent on a series of loan moves. In February 2011 he went to Brentford where he was to make 11 appearances. In July 2011 he went to Bournemouth on a season-long loan which was cut short by an ankle injury in September which kept him out until January. Byrne went back to Tottenham in February 2012 after making 9 appearances for the Cherries. Byrne spent the first half of the 2012-13 season at Crawley Town, making 12 appearances. 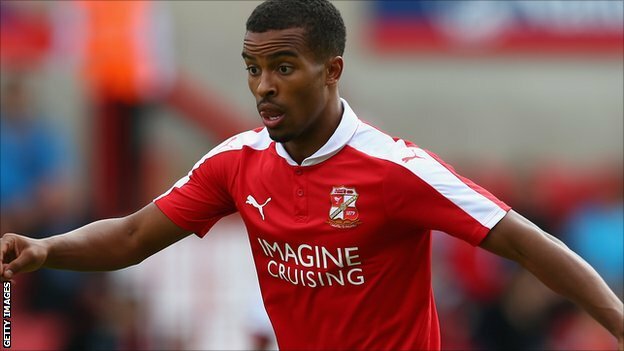 In March 2013 he went on loan to Swindon for the remainder of the season, making 7 appearances. In summer 2013 he left Tottenham on a free transfer, signing for Swindon. 2014-15 was particularly successful for him, Swindon making the playoffs and Byrne making 43 appearances, scoring 3 goals and making 9 assists over the course of the season. He appeared in the League 1 team of the year. Byrne scored a hat trick against Bradford City in the first league game of the 2015-16 season in early August, but in early September he signed for Wolves for an undisclosed fee. In his time at Swindon he had made 83 league appearances, scoring 10 goals. Byrne made 24 appearances for Wolves last season, scoring 2 goals. In order to find out more about his performances at Wolverhampton we contacted Thomas Baugh at the Wolves Blog (http://www.wolvesblog.com). We only signed Nathan Byrne a year ago (almost exactly) for a decent chunk of money, so in one sense it’s surprising to see him moving on. But he always struggled to get near the team and when he did make an appearance he was usually back on the sidelines again a week later, leaving many to rightly ask ‘why did we bother getting him in the first place?’. Kenny Jackett certainly didn’t seem too keen, choosing to ignore him even when we were crying out for width and pace. I suspect his diminutive stature is what ultimately counted against him, as he always seemed a decent player on the rare occasions he was selected. I remember being particularly impressed in a derby victory at Birmingham last season. He got into pockets of space in between midfield and attack and looked a threat. In sporadic appearances he showed quick feet, a decent (but not lightning) turn of pace and an eye for a goal. He scored a nice one against Leeds last season and hit the bar with a free kick so he has a few tools in his armory. I suspect in a more free flowing team with good technical players around him (e.g. Jacobs) he could be a good Championship player. He came highly rated from Swindon but we never truly got a decent enough look to make a fair judgment. Good luck to him. It seems like a good move. Scott Carson was Wigan’s best player. That goalkeeper Scott Carson was Wigan’s best player was a reflection on the mediocrity of Latics’ performance. It was a display so lacking in cohesion that an outsider might wonder if Wigan’s players had ever played together before. Brentford will probably be happy with a mid-table spot at the end of the season, after coming up from League 1, but it never seemed like Latics would beat them. Uwe Rosler chose the kind of lineup that could be labelled “attacking”. He left James Perch on the bench to put in James Tavernier, left William Kvist out to include Adam Forshaw, and put in Oriel Riera for Marc-Antoine Fortune, Callum McManaman for Emyr Huws. The 4-3-3 lineup would have pleased those fans who have been demanding a more attacking lineup, but one wondered if it would have the right balance. Both sides were cautious early on, but Brentford looked more dangerous. However, in the 12th minute Riera found Don Cowie on the edge of the box with a shooting opportunity that was deflected wide. Brentford continued to threaten Wigan up front and the Latics’ defence was at sixes and sevens keeping them out. The “light” midfield of Adam Forshaw, Don Cowie and Shaun Maloney was not able to repel the visitors forward movement. Callum McManaman looked disorientated, not seeming to know where he was meant to be playing, hardly in the game. However, on the half hour mark Riera did well to put through Maloney, whose low shot was pushed wide by Brentford goalkeeper David Button. But Brentford continued to press and Andre Gray found himself clear of Wigan’s defence but chipped his shot over the bar. Brentford had been the superior team in the first half against a Wigan team that looked rock bottom in terms of confidence. The game continued in a similar vein. In the 55th minute McManaman’s good work caused a goalmouth scramble, but no Latics player was able to force the ball home. Then the ball came to Leon Barnett close to the goal but he was surrounded by defenders and the opportunity was lost. Brentford then really tested the Wigan defence, Scott Carson having to make two fine saves to keep out efforts from Pritchard and Jota, and then Douglas shot into the side netting. In the 63rd minute Rosler had brought on Andy Delort for Riera and Fortune for McManaman. Kvist replaced Cowie in the 78th minute. A couple of minutes later Latics were awarded a free kick on the edge of the box, but Maloney’s well struck shot was well saved by Button. Then five minutes later Tavernier put in a superb trademark cross on to James McClean’s head but the Irishman put it wide. That was to be the final chance for Latics and the game finished as a goalless draw, which Latics might have just about deserved. The fans had given the team terrific support throughout the game and they deserved more than this. Despite playing so poorly, Latics could have won the game if they had taken the limited chances they created. Tavernier did not have an easy first start for Latics in the Championship, but he nevertheless conjured up that superb cross in the 85th minute that McClean was unable to convert. Despite having a fine pre-season the ex-Rotherham and Newcastle man had to wait for his chance to get into the starting lineup. In this game he had to play in a flat back four, but he is more likely to prosper as a wing back, where he has more freedom to go forward. Carson once more proved what a fine keeper he is. Not only was he Latics’ best player in this game, but he has been the most consistent all season. On paper and man-for-man, Latics looked a much stronger team than Brentford, but Rosler’s lineup just did not work. Although it looked like a bold attacking move, the end result was something different. The centre backs, Barnett and Ramis, deserve credit for their perseverance. Brentford sensibly put a man on Ramis when Carson had the ball. The result was Barnett having to distribute the ball from the back, which is not his strong point. The midfield did not support him sufficiently and too often the ball was wasted. Forshaw struggled in the role of holding midfielder and Cowie looked pedestrian. Maloney certainly did not look the same player who had done so much for Scotland over the international break, although he forced a couple of good saves from Button. Playing Forshaw and Maloney together in central midfield role is unlikely to work, as both need a lot of the ball to be effective. Leaving a ball-winner like Kvist on the bench until the latter part of the game was a mistake. 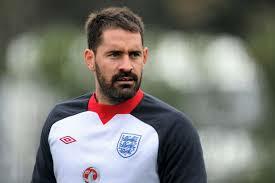 Scott Carson: 8 – a fine performance. He kept Latics in the game. James Tavernier: 5.5 – looked exposed at times, unable to attack in the way he would have liked. Ivan Ramis: 7 – solid defensively, but Brentford seldom allowed him to display his fine passing skills. Leon Barnett: 7 – a defensive rock. Andrew Taylor: 6 – worked hard. Don Cowie: 5 – poor. Adam Forshaw: 5 – poor. Shaun Maloney: 5.5 – disappointing. Callum McManaman: 5.5 – disappointing and substituted after 63 minutes. Oriol Riera: 5.5 – apart from a couple of good passes he looked peripheral. Substituted after 68 minutes. James McClean: 5.5 – energetic as always, but ineffective. Andy Delort: – came on after 63 minutes, but apart from one delightful flick he was unable to impose himself on the game. Marc-Antoine Fortune: – also came on after 63 minutes, tried hard but with little effect. Why was he not on from the start following his performance at Wolves? William Kvist: – brought on after 78 minutes.